Luckily a friend living and teaching there was able to show us around, and she made sure we’d not only visit the Plaza de España, immortalized in Star Wars: Episode II – Attack of the Clones (2002) and Lawrence of Arabia (1962), or the beautiful Alcázar royal palace (another set for Lawrence of Arabia), with its mudéjar architecture and its extensive gardens, but also that we’d try some of the beloved local foods, such as the carrillada. 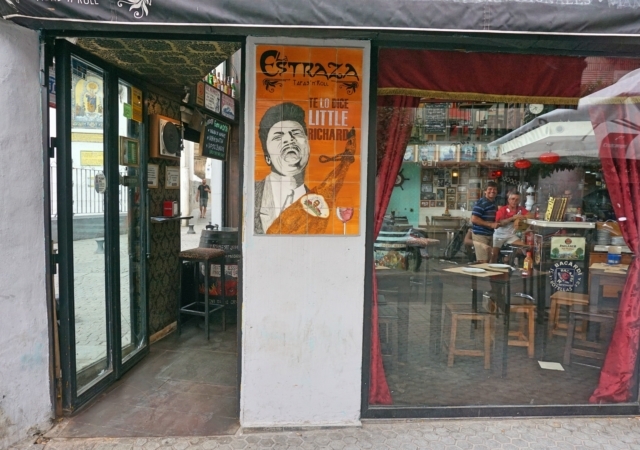 Since Sevillans, due to the city’s geographical location and climate, experience a decently cold winter (never below freezing point), and a blazingly hot summer, the regional food has adapted to offer seasonal favourites. In summer you will find classics such as Andalusian gazpacho (a cold soup made with raw blended vegetables), or ensaladilla rusa (Russian potato salad) – cool foods that taste infinitely better when eaten during the sweltering summer months, with temperatures in Sevilla reaching up to 36°C during peak times (with an all-time high of 52°C recorded in August of 2003), when locals tend to escape to the cooler North or far away lands. In winter, on the contrary, you can enjoy rich, hearty foods that warm not only the body but also the soul. These include sopa de picadillo (consommé with ham and hard-boiled eggs), huevos a la flamenca (a baked eggs dish), and the tender, slow-cooked carrillada. I realize this is all a bit of a taboo topic, but really it shouldn’t be. When we eat meat, it’s easier to look the other way. It’s easy to feel disgusted when we think more about where the pork came from (a pig), and where the beef came from (a cow) – in fact, for the purpose of detachment, it’s a very convenient language development to have different names for the animal and the meat. But if we’re going to appreciate the animal, we should value and find use for all of its parts. And the pig cheek, or carrillada, also carrillera, makes for a great example of an otherwise wasted food part turned into a wonderful meal. 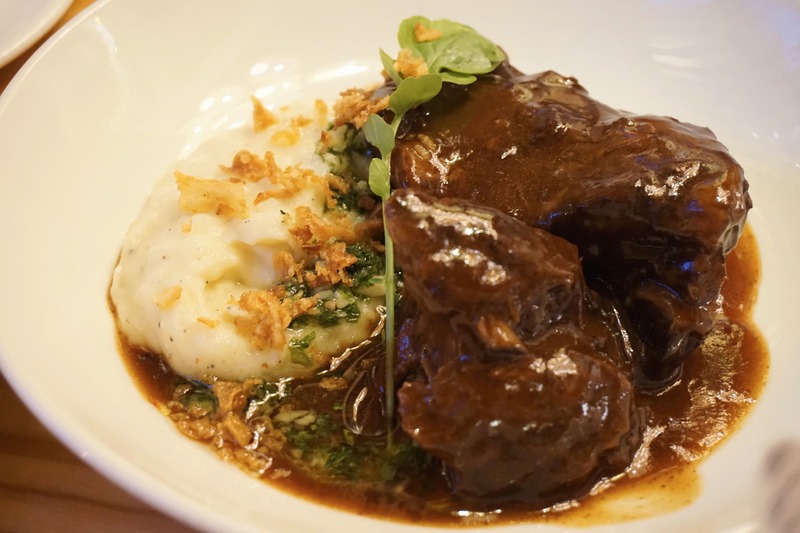 The pig cheek is a moist, relatively lean cut of meat weighing no more than 200g. Due to the gelatinous structure, it can be braised or slow-cooked as a stew over low heat for at least a few hours. It is not a difficult dish to cook, but due to its long cooking time requires a little planning and patience. If you’ve ever had jamón ibérico, you can guess that carrillada made from the acorn-fed Iberian black foot pig will be the juiciest, most tender, melt-in-your-mouth delicious food you can have, and one commonly found in restaurants and tapas bars throughout Sevilla. As for sauces and accompaniments? One of the popular ways to cook the carrillada is in a simple wine reduction, with cloves, garlic, carrots, and boiled potatoes or mashed potato as common additions. 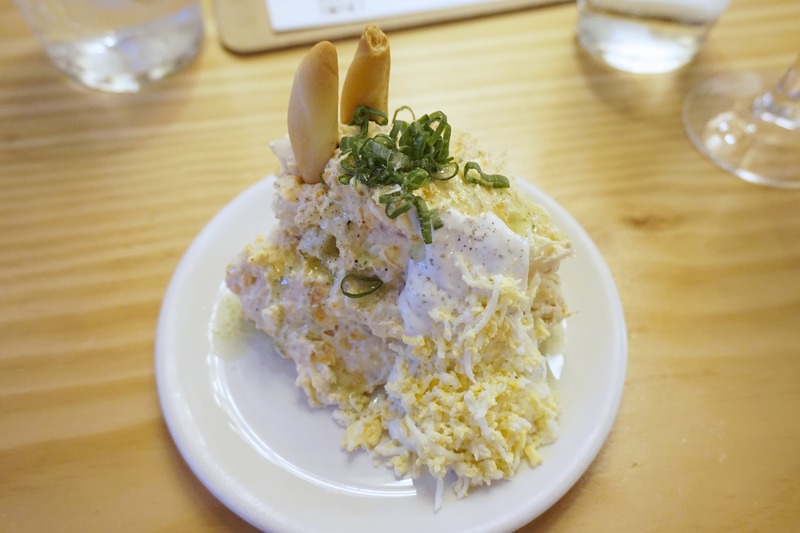 This is the kind of version we were able to enjoy at La Chunga, where they offer such local dishes such as ensaladilla rusa as well. But my personal favourite was the Carrillad Ibérica “Toma Castaña!” At La Estraza, with chestnut cream. 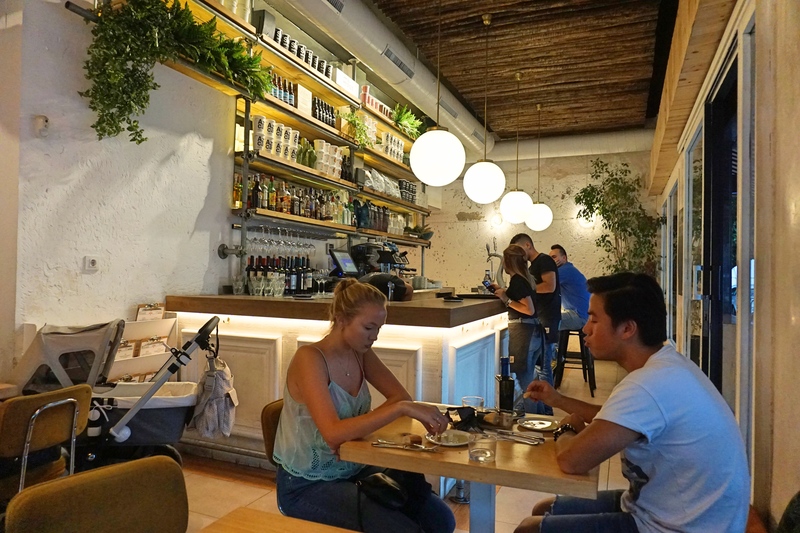 Coincidentally, it was also our first meal in Sevilla – what a great way to start the Sevillan food adventure! Both carrilladas practically fell apart on my fork and literally melted in my mouth (as they should! ), but the latter was so full of an incredibly addictive umami flavour, which I’d go back for any day. Perhaps it was also because the carrillera at La Chunga reminded me of more Northern European meat stew dishes due to the slightly acidic flavour from the red wine sauce, and was thus not much of a novelty to me. The first reference to carrillada I was able to dig up is from 1979, when a restaurant opened in Sevilla’s city centre, serving a dish called “Carrillada de Puerco Alatrist.” Whether the carrillera is a recent addition to Sevilla’s diverse food repertoire, or whether simply no one bothered to record it until that year, the fact that this dish is widely available in most restaurants and bars in Sevilla today attests to the fact that it has become an intrinsic part of the local food culture. If you ever find yourself in those Southern European parts, don’t miss out! And if you can’t wait to try it until then, why not make it at home? Please know that I can neither recommend nor criticize any recipes I am about to share here, since I have not yet had a chance to try them myself, but if you’re adventurous, here’s a recipe I found by Lauren Aloise, and another one by Elle Draper. Don’t be shy to share your success stories with me.